One of the most interesting novelties of the whole cycling market is the one just presented by Specialized: the brand new ANGi (Angular Force Indicator) safety device integrated in some helmets of the collection. A patent-protected device that, thanks to sensors very similar to those installed in modern ski guards (accelerometer and gyroscope), is able to recognize and measure all the different vector forces that usually occur when you run into a fall from the bike. In the event of an abnormal stop or very sudden movements of the head, the Specialized ANGi system transmits a signal to the smartphone via Bluetooth, which, in turn, will send a notification to all emergency contacts previously selected. The new generation of Specialized ANGi helmets will ensure, therefore, an increasingly high level of safety and increasingly focused on the protection of the cyclist not only during the fall sends also in subsequent moments to the same. HOW DOES THE ANGI SYSTEM WORKS? After detecting an abnormal movement of the helmet and sending the signal to the smartphone interfaced with the system, ANGi will immediately activate the LED sensor on the back of the helmet that will start to flash in red while the phone will start a countdown. If the phone will not be stopped manually and/or voluntarily (which would indicate a simple false alarm and no urgency), a text notification will be sent promptly to the contact, or contacts, previously selected through the appropriate application downloadable on both AppStore and GooglePlay. The duration of the countdown can be set at will always through the interface of the application “App Specialized Ride”. The most interesting part, however, is when the ANGi system detects minor movements that could be associated with a small incident that does not require assistance: the application activates an automatic check on the status of the GPS via smartphone. If the GPS detects that the cyclist is still moving (and therefore is not supposed to be in danger), no alarm will be activated and no countdown will start. Otherwise, if the GPS is static, the alarm will be triggered in a timely manner and the countdown will also be activated in the previously viewed modes. Once you have downloaded the App and activated your subscription, you must associate the ANGi sensor to your smartphone. Enter, then, the emergency contacts to which send the notification in case of accident and / or need. ON WHICH MODELS WILL BE AVAILABLE THE ANGi SYSTEM? In any case, all new 2019 models will be compatible with the ANGi system, which can be quickly and comfortably mounted by purchasing the sensor from any local Specialized dealer. Through the Specialized Ride application, which we mentioned earlier, you can also access other features offered by the Specialized ANGi sensor such as: “Ride Notification“, “Last Known Location” and “Ride Time Alert“. All very interesting features that can help/increase the pedaling experience. Ride Notification (the “Driving Notification”), if active, will send the selected contacts a notification and a useful link to keep track of your position in real time. Each bike ride will be monitored and notified using a live tracking system similar to the one used with Strava. Last Know Location allows all pre-set emergency contacts to determine the last position transmitted by the ANGi sensor via the built-in GPS on your smartphone. The Ride Time Alert, on the other hand, allows you to set the estimated duration of the lap you are planning to take. If you do not finish your ride within the set time, the ANGi system will notify the emergency contacts. Obviously, it is important to be sure of the duration of the lap, leaving a little margin and remembering to change the data in case you change the route in the race. These 3 additional functions are very useful and make it possible to avoid the fact that, to guarantee maximum efficiency, the ANGi system requires an always active and stable data connection. It is not by chance that, in order to obtain the best performance from the ANGi system, it is advisable to use all the functions of the application at the same time. Surely the ANGi system of Specialized represents an innovation for the sector and, without a shadow of a doubt, represents also a further step towards a more and more connected, interactive and safe cycling. Now, in all sectors, interaction with the world of smartphones (mobile) is a fundamental and indispensable aspect! First with Live Tracking applications, such as Strava and Runtastic (the most famous), and then with sensors that increase safety and the pedaling experience, even cycling is growing day by day thanks to new ideas and companies that are willing to constantly invest in research and development. 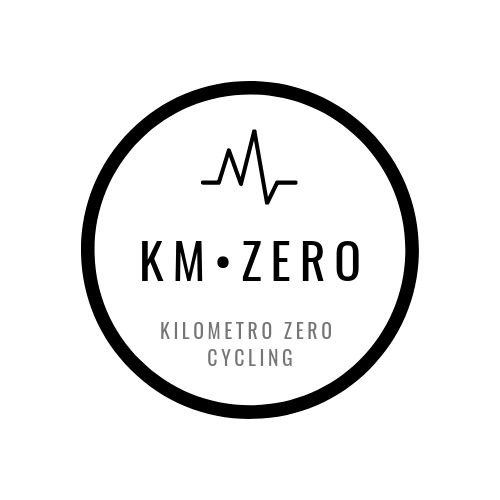 Specialized in this, it confirms itself as a company that is always innovative and attentive to market trends, with a view to seeing the cyclist and his passion constantly at the centre of the attention and development of the company.